Last week I had the privilege of attending a talk with Eckhart Tolle at the NYU Skirball Center. His ability to command a room with stillness is a unique kind of magic, and I’m grateful to have spent 90 minutes in his presence. I was deeply impacted by what was discussed and feel compelled to share some insights that resonated with me. Eckhart Tolle spoke beautifully about moments in life where your thoughts take a backseat and you exist as a deeper, more conscious being. Perhaps climbing a mountain and arriving at the top to see the sun begin to rise. Or when you look at a baby and that baby looks back at you and smiles. In those few seconds, when the clutter in your mind dissolves and you are fully present, you get a taste of conscious living. Once you are aware of those moments, they become easier to identify and replicate in daily life. When you as a human being experience thoughts in your mind, you say to yourself “I think this” or “I am that” as if there is an “I” that is responsible for your thoughts. However, you do not say “I beat my heart.” Your heart beats automatically; your body does all the work. The same is true of your thoughts. Your thoughts come to you automatically and your human form conjures those thoughts. We tend to create a narrative of ourselves through our thoughts, our past, our successes, and failures. However, your thoughts are not who you are at your core. There is a deeper existence within you that manifests when you start to observe your interpretation of your own thoughts and recognize that they have nothing to do with you as a human BEING in this universe. Tolle said that when you put down your phone and simply observe, you will feel more alive – whether waiting for the train, sitting on a bench, or eating a meal. This is such a simple concept but oh-so-true. I am always trying to figure out ways to reduce my technology usage, and acknowledging that I feel more alive when I am not on my phone is an excellent reminder to stop scrolling and PUT THE PHONE DOWN. According to Tolle, if you think that life exists to make you happy, you are in for a big shock. Everyone on this planet will at some point experience challenges. When you inevitably experience something horrible, you have a choice. You can become sad, bitter, angry, and live in a state of unhappiness. Alternatively, you can observe the challenge as it unfolds, from a deeper state of awareness and without judgment. Challenges in life can be opportunities that awaken a higher level of consciousness. Although it is impossible to compare suffering, the more challenging the situation, the more strength it can take to access the deeper state of consciousness within you. Like many things in life, the harder you work for something, the stronger you become during the process. Tolle suggested that you start to practice awakening your higher consciousness while navigating the smaller challenges you face. It will then be easier to apply when experiencing greater challenges. For example, the next time something small doesn’t go your way, observe it. If a line at the supermarket is taking forever and you find yourself annoyed, start by becoming aware of those “unhappy” thoughts. Thoughts like “I’m going to be late, this is taking forever, why did I come here during such a busy time.” Quiet those thoughts by recognizing them for what they are – just thoughts. Your thoughts are not a true reflection of you. They are simply an interpretation of the situation you’re in and they are automatically created by your mind. Once you recognize this, you can put your thoughts aside and experience what it is like to stand in line, observe sights and sounds happening around you, feel the air on your skin as you breathe into your lungs, and be present there in that moment where life exists. Of course a question came up about how we can live consciously during a time where there is so much divisiveness in our world. Eckhart’s solution is simple – do not add to the division. Recognize that people who feed into this division have not yet accessed the deeper state of consciousness existing inside of them and inside of each of us. When this higher state of consciousness starts to awaken, the ego slowly starts to dissolve. However, the ego wants to survive, and can only do so when divisiveness, or otherness, exists. Once you reach a state of higher consciousness or “being,” and understand that we are all one, your ego and the narrative of yourself that you have projected out into the world, dies. When communicating with someone with different beliefs than your own, try to set the example by responding not from your own ego, but from a state of higher awareness, and recognize that the other person has the capacity to do so as well. Because the formal topic being discussed was “awakening consciousness in higher education,” Tolle touched on the conceptual mind, or “knowledge-seeking” mind. Individuals enroll in higher education in order to gain knowledge about certain topics or concepts. Society greatly values the development of knowledge. But there is a huge difference between knowledge and wisdom. Our world is inundated with knowledge, and what we really need is more wisdom. Tolle explained that living wisely, or consciously, is like tasting honey. A person could understand honey so well that he or she could get a PhD in honey. 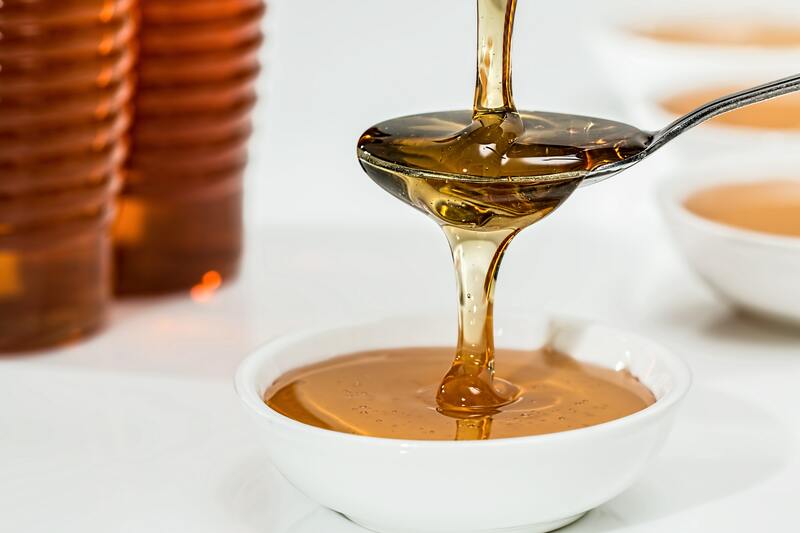 This person could understand the chemical compounds that make up honey, recite the historic facts that surround honey, even describe the sensory qualities of honey without ever tasting its sweetness. However, a person who has tasted honey has a completely different understanding of honey than the person who learned about the concept of honey. This deeper dimension of knowing honey is comparable to conscious living. We can live each moment of our lives in the conceptual mind AKA through our thoughts. Or, we can start to integrate moments where we experience living by being. I have come across variations of these concepts throughout my training as a psychotherapist, and have been able to understand most of these ideas conceptually. Attending this talk gave me the opportunity to really “taste the honey” of Eckhart Tolle’s words. Something has shifted inside of me and I have been able to manifest that dimension of myself that is deeper than my thoughts or my mind. It is my heartbeat, my breath, the wind, and the sky. It’s everything. I do not access this state constantly, but for now, simply knowing it is there is enough. Paige Rechtman is a Licensed Psychotherapist with a private practice in NYC.